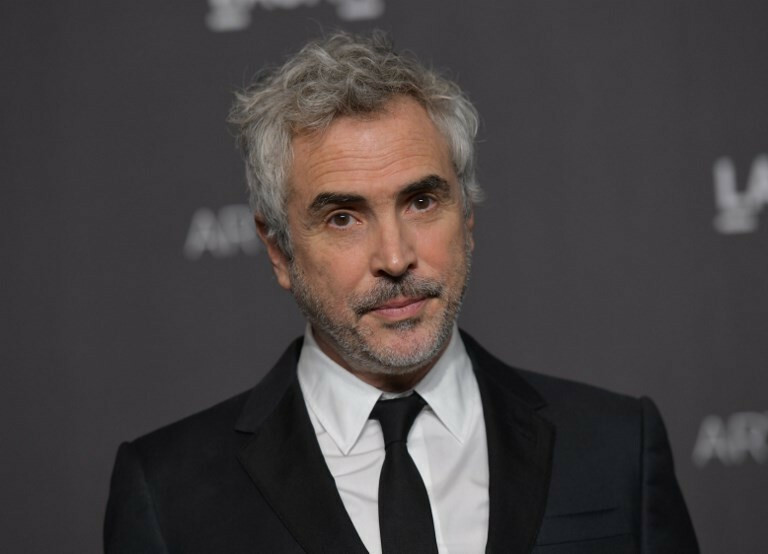 Mexican director Alfonso Cuaron said Wednesday his new film, Roma, which is generating serious Oscar buzz, will be screened in his home country's former presidential residence, which was recently turned into a cultural center. Free screenings of the film will be held starting Thursday at the lavish estate known as Los Pinos, Cuaron wrote on Twitter. Mexico's newly inaugurated President Andres Manuel Lopez Obrador threw open the doors of Los Pinos to the public on Saturday -- part of the anti-establishment leftist's bid to "transform" a country he says has been robbed for decades by corrupt leaders. Roma will be the first film screened there for the public -- a move that dovetails with Cuaron's own bid to transform the filmmaking industry. Roma is distributed by Netflix, which is hoping to win its first best picture nomination at next year's Academy Awards with the intimate, sumptuously filmed project, in which the Oscar-winning director revisits his childhood in Mexico City. The streaming giant had been reluctant to release its movies in theaters, given that they are direct competitors, but it is giving Roma a three-week theater run before releasing it on its own platform on December 14. Cuaron, who won the best director Oscar for Gravity in 2014, has criticized Mexican movie theaters for not giving the film a wider run. "Los Pinos is joining in to screen Roma! With this new theater, starting on December 6 it will be showing in 97 all across the country!" he tweeted. Shot in black and white, and filmed in Spanish and the indigenous Mixtec language, Roma is a semi-autobiographical chronicle of a year in the life of Cuaron's family and his childhood nanny. It won the Golden Lion at the Venice film festival, and has emerged as a favorite with critics for Hollywood's awards season. Following Cuaron's criticism, Cinepolis, one of Mexico's biggest movie theater chains, fired back that Netflix should delay the film's premiere on its platform, to "respect the traditional theater-run window." "Unfortunately, Roma was sold to Netflix, whose business model has yet to take cinema runs into consideration," it said in a statement.